The photos look a bit pink. 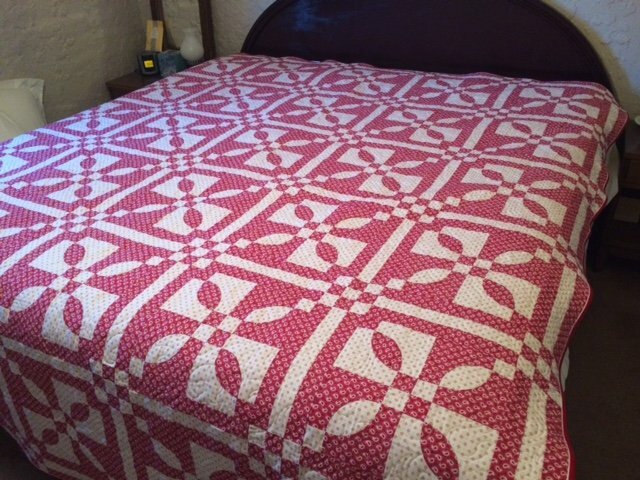 This quilt is not pink - it is a true rich red and eggshell white. The back is a crisp bright white. Photos are on a standard king bed. Sides hang over about 6" each.